We are proud to provide comfortable lodging with as many of the amenities of home possible. 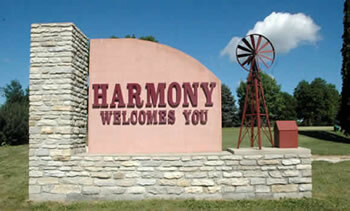 The Country Lodge Inn is conveniently located on Highway 52 N. in Harmony, MN. You will be only a 5 minute walk from downtown and bike trails, you will find numerous restaurant and shopping opportunities located with few blocks. There is a multiple dealer antique mall, as well as gift shops and amish furniture stores. If you need to tackle a little work, then use your own laptop for free with our high speed internet access. At the Country Lodge Inn, you will receive quality accommodations at an affordable price! Country Lodge Inn is a privately owned operated establishment. Our goal is to make improvements to our business as often as possible. We treat our establishment like we treat our home. We strive to make it feel like home to our customers.